Mobikwik, one of India’s biggest payment networks and wallet providers, is now venturing into the hyperlocal space with the launch of ‘Explore Nearby’. Available on the MobiKwik app, the feature enables discovery of neighborhood stores, restaurants and cafes that accept wallet payments. More than 10,000 MobiKwik partner retail stores, which includes merchants such as Big Bazaar, Barista, Domino’s Pizza, WHSmith India, Archies, Sagar Ratna and many restaurants, would now be visible to the users on the ‘Explore Nearby’ tab. Users can also view existing offers at these outlets and pay via MobiKwik to redeem it. The company claims that the map-based ‘Explore Nearby’ interface is the first implementation of online-to-offline (O2O) strategy by any mobile wallet firm in India. “With the Explore Nearby feature we are connecting offline retail stores with over 30 million users on our platform. Be it for purchasing grocery at your corner store or a family dinner at your local restaurant, the wallet now makes it easier for you to discover, shop & dine at MobiKwik supported merchants in your vicinity. Offline stores can now attract MobiKwik users depending on their location and preferences resulting in higher sales.” said Bipin Preet Singh, Founder-CEO of MobiKwik. 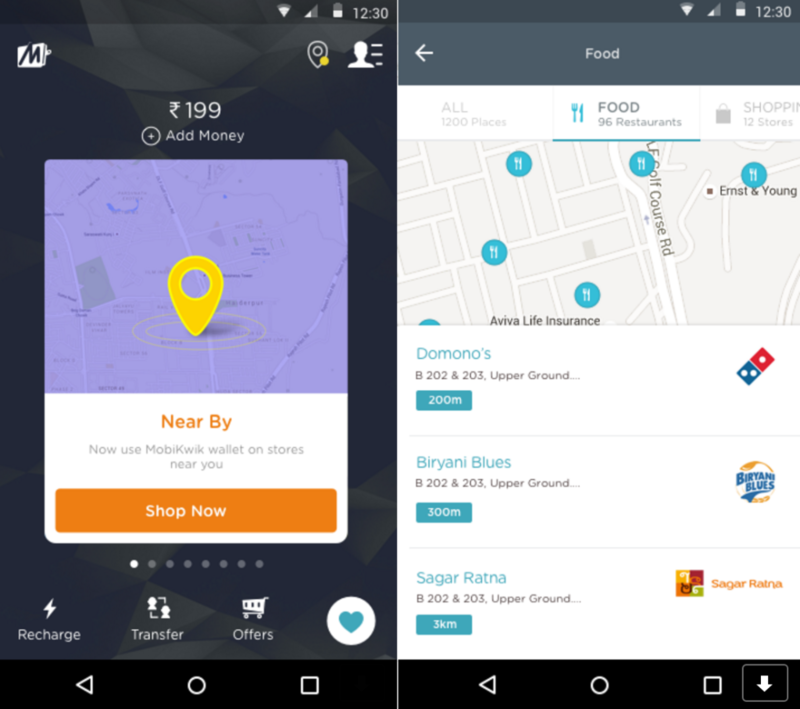 The ‘Explore Nearby’ feature currently live on MobiKwik Android app is expected to be rolled out to the iOS and Windows versions as well. The wallet space in India is seeing lots of action over the last few months with firms pushing features and providing discounts to entice customers. Paytm, India’s largest wallet provider, has been tying up with offline merchants in a big way, and FreeCharge is following suit, having recently launched a partnership with McDonald’s.